We train in the upstairs dance studio at the Riverside Leisure Club, in Little Stoke, North Bristol, which is only a 5-minute walk from the Patchway Railway station. To train regularly with us you need to become a member of the organisation. This is a yearly fee of £45. Then you only need to pay for the lessons you attend – which is currently £5. This Aikido club is a “not for profit” voluntary organisation where all funds after costs are ploughed back into the club. Our coaches are volunteers and do not charge for their coaching time. You can also choose to pay £35 in advance to get 8 lessons. i.e. 1 free lesson. Your other option is to use your MoveGB membership with us. Lessons suited to all abilities, from complete beginners to experienced students. Classes are only open to Adults at the moment, mainly due to the lateness of our lessons and teacher availability. Your 1st lesson is free, this will enable you to find out if Aikido is something for you. To see our latest updates, courses and community. A little bit about Bristol Ki Aikido. Classes are on Wednesday and are from 8:15 pm to 9:45 pm. Please arrive at 8:00 pm to help get out the mats. 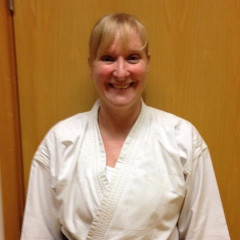 Beginners are welcome as is anyone who just wants to watch, but due to the nature of Ki Aikido, it is best to get on the mat and have a go to get the feeling of what we do. To start, wear comfortable clothing that is not restrictive such as tracksuit bottoms and a t-shirt (Shoes are removed before stepping on the mat). After a few classes, you will need to invest in Gi (a white karate suit or Judo suit) which we can source for you. If you’d like to acquire one yourself locally, ensomartialarts.com is a great place. Founded in 1982 by Wasyl Kolesnikov the Kolesnikov’s School of Mind and Body Development with Aikido aims to study mind and body coordination through the study of energy both static and in motion. 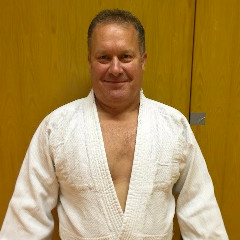 Sensei Kolesnikov retired in 2014 and since then the organisation has been led by Phil Bolt. 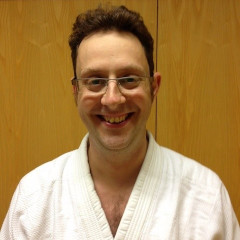 Sensei Phil’s home dojo is based in Swindon, which has now become the organisation’s Head Quarters. So a full translation is "The way of harmony with energy" but a fuller translation is "The way of harmony with the Universe". The body should be triangular, the mind circular. The triangle represents the generation of energy and is the most stable physical posture. The circle symbolises serenity and perfection, the source of unlimited techniques. The square stands for solidity, the basis of applied control. We are not affiliated with the Shin Shin Toitsu organisation and have no formal links to any organisation in Japan. We train in the upstairs dance studio at Riverside Leisure Club, Little Stoke. Call us on 07966 014932.